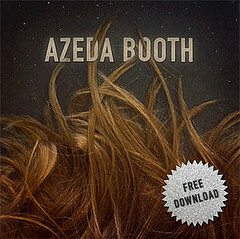 Tubtrek is Azeda Booth’s first new recorded material as a solid three piece. The EP is also the band’s first recording with more than only Jordan Hossack singing. Tubtrek includes four new tracks and four remixes from their debut album In Flesh Tones by other artists including, Goodhands Team, Morgan Greenwood, and Secret Mommy. The EP was mastered in the UK by electronic artist Ochre. Azeda Booth will be crossing the border from Canada for the first time to play shows on both coasts including a stop at SXSW for the Absolutely Kosher records showcase. Make sure to check out the band’s busy concert schedule to see if they will be performing in your town!